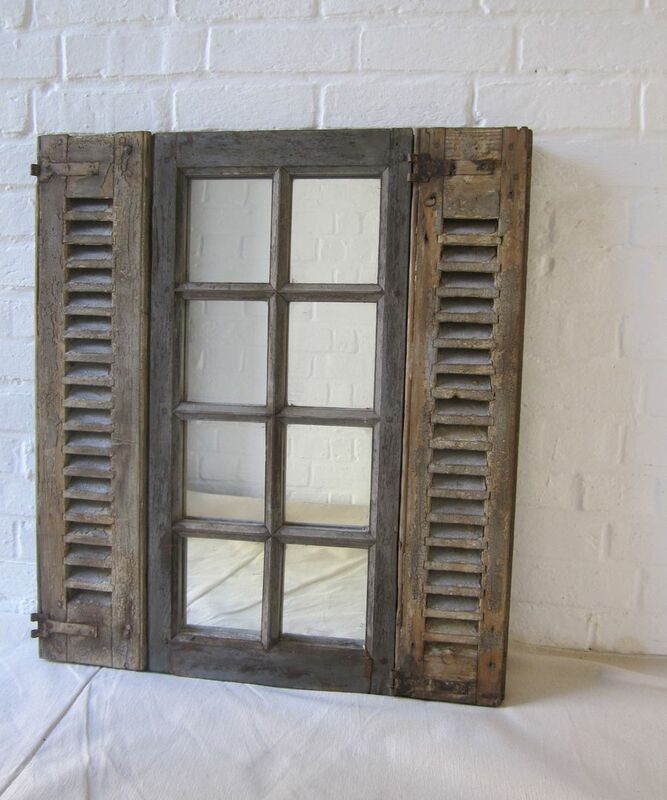 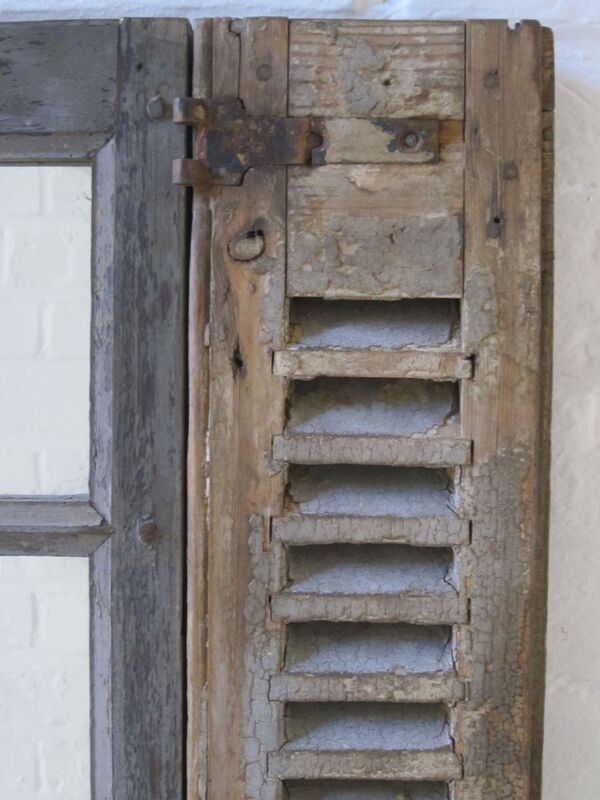 An unusual mirror made from old French shutters. 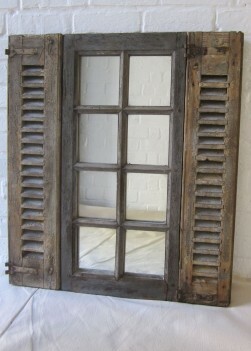 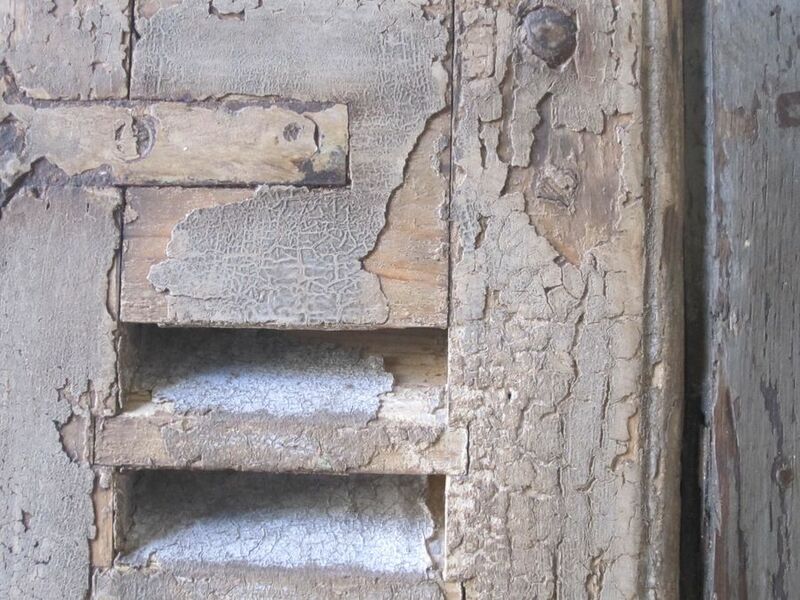 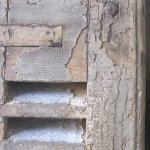 Beautiful aged patina and traces of original paint. 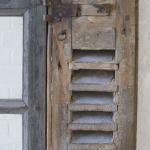 The shutters are from a chateau in the Normandy area of France.